Harry How/GettyDraft picks and trades have helped the Boston Celtics build a contender. A combination of savvy trades, draft picks, and player development has positioned the Boston Celtics to become the NBA’s next contender. 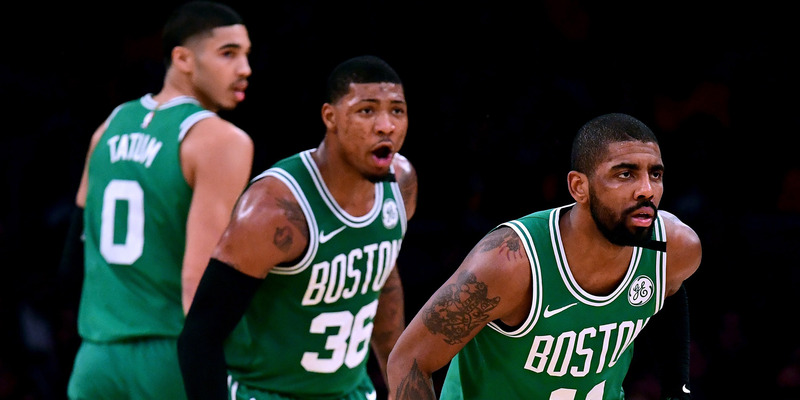 The Celtics wowed the NBA world with a deep playoff run, despite missing Gordon Hayward and Kyrie Irving, showing off how talented their young core is. Members of the organisation credit general manager Danny Ainge and head coach Brad Stevens for creating a hard-working, meticulous culture. The Celtics are positioned to keep improving, but their current team may be good enough to contend for a championship when they welcome back Irving and Hayward. For about five minutes, Boston Celtics president Rich Gotham liked his team’s chances. “I honestly sat there and said to myself, ‘Wow, I don’t think Cleveland’s going to be able to guard us this year,'” Gotham told Business Insider. Then, less than six minutes into the 2017-18 regular season, tragedy struck the Celtics. Their newly signed All-Star forward, Gordon Hayward, landed awkwardly on an alley-oop attempt and suffered a gruesome ankle injury that ended his season. The Celtics, a star-studded team primed to challenge for the Eastern Conference championship, were suddenly without one of their key cogs. The team marched on anyway, winning 16 of its first 18 games and taking the league by surprise. The Celtics finished second in the conference with 55 wins. Then, another setback: Kyrie Irving would miss the entire playoffs after undergoing knee surgery. A team already short on scoring would have to go to the postseason without its best scorer. Nobody would have blamed the Celtics for folding after the Irving injury. Instead, they rallied, getting even bigger production from players like Al Horford, Jayson Tatum, Jaylen Brown, Terry Rozier, and Marcus Smart. The ragtag Celtics took down the Milwaukee Bucks in seven games and the upstart Philadelphia 76ers in five, and they nearly took down the Cleveland Cavaliers in the Eastern Conference Finals – all with $US48 million in salary sitting on the bench. Todd Lickliter, a former Celtics scout, said he thought “everybody would probably say” they were surprised. “They achieved at the highest level you could have expected them to, and they responded so well,” Lickliter said. The Celtics’ playoff run was a testament to what they have built over the years. The 2017-18 roster had only four returning players from the year before, but the groundwork was laid years ago. 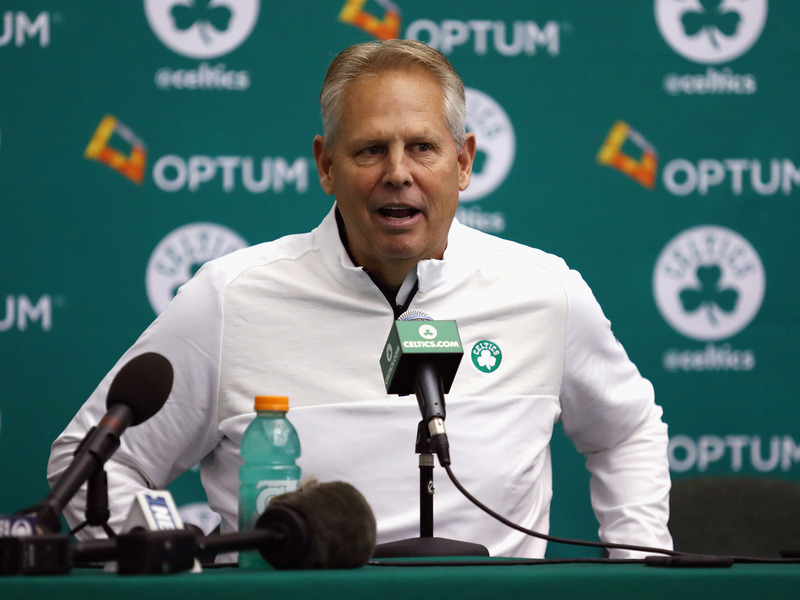 Through savvy transactions, player development, and a coach quickly joining the NBA’s elite, the Celtics look like the NBA’s next contender. There’s the scary thought for the rest of the league: this Celtics team, a year older, welcoming back its two star players. It’s the latest step in what is quickly turning into one of the greatest rebuilds the NBA has ever seen. The Celtics wouldn’t be where they are without first having decided to blow it up five years ago. The 2013 Nets-Celtics blockbuster deal lives in infamy. The unprotected picks that the Nets sent the Celtics for Kevin Garnett, Paul Pierce, and Jason Terry ended up becoming lottery picks that fell into the rebuilding Celtics’ lap. The 2016 pick turned into Brown, an explosive, do-it-all wing who took significant strides in his second season. The Celtics traded the 2017 Nets pick, which was first overall, to the Philadelphia 76ers and acquired a 2019 lottery pick as a bonus. They used the third overall pick they got from the 76ers on Tatum. The 2018 pick was used to acquire Irving in a blockbuster trade with the Cavs. Just as important were the moves the Celtics didn’t make.ESPN reported in 2015 that the Charlotte Hornets turned down an offer from the Celtics that included as many as five picks to move up in the draft to get Justise Winslow. Tim Bradbury/GettyDanny Ainge seems to win the trades he makes. They chose to stand pat at the 2017 trade deadline when players like Paul George and Jimmy Butler were said to be available, balking at the prices the Indiana Pacers and the Chicago Bulls set for the star wings. “It can be hard to stay patient, but I think sometimes they say the best deals you make are the ones you don’t make,” Gotham said. It’s hard not to look at the Celtics and think that when Ainge does play his hand, he tends to win. The pieces the Cavs acquired for Irving have not had much impact. Isaiah Thomas and Jae Crowder were traded away midseason. Ante Zizic played just 23 minutes in the postseason. The 2018 Nets pick is eighth in the draft, a solid but unspectacular position. The trade down in last year’s draft also seems to have far-reaching implications. With their eyes on Markelle Fultz, the 76ers swapped picks with the Celtics and sent Boston a 2019 lottery pick that could end up as high as No. 2 in next year’s draft (depending on some complicated pick-swapping and protections). Fultz played just 14 games in his rookie season because of a bizarre shoulder injury. 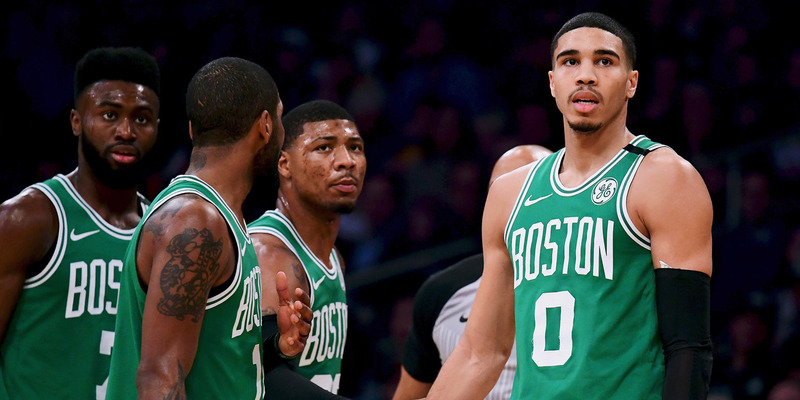 Tatum looks like the crown jewel of the Celtics’ rebuild – something that may not have happened without a workout that blew away the team. Mitchell Leff/GettyJayson Tatum has star potential. The Celtics were informed that Tatum was under the weather before he went through a second pre-draft workout for them last year. The Duke forward had already done one workout in Los Angeles in front of some of Boston’s basketball staff. According to Gotham, Tatum put on a “clinic” in his second workout. “Some of the best shooting I’ve ever seen,” Gotham said. The Celtics scouts had long liked Tatum – a star in his high-school class – but weren’t sure of him during his lone season at Duke. The team had some doubts about his three-point shooting before the workout. He convinced them otherwise. It’s hard not to view Tatum as the focal point of the Celtics’ rebuild. The then-19-year-old wowed in his rookie season with the utter ease with which he scored the ball. Some Celtics staffers have compared him to a young Pierce. The Celtics have several intriguing young players. Rozier had a breakout playoff campaign and looked the part of a starting point guard. Brown may have All-Star potential. Tatum’s ceiling is different – he may have MVP potential. It’s not hard to imagine him slowly adding different skills to become a complete package. Tatum showed it all in the postseason. 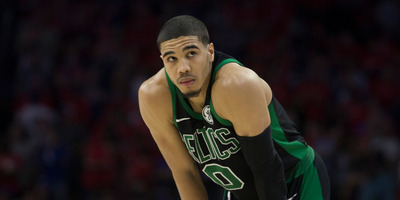 In a 50-second span in the biggest game of his young career, Tatum crammed a dunk on LeBron James’ head and then hit a step-back three. ESPN’s Zach Lowe wrote that the Celtics value Tatum so highly that they may not trade him straight up for Kawhi Leonard. 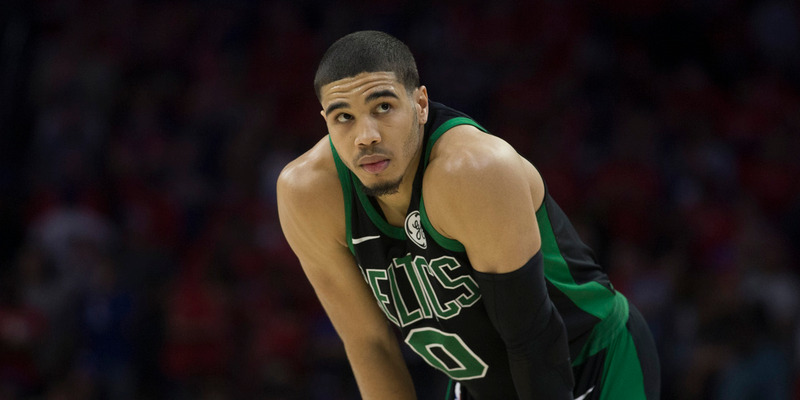 There are mitigating factors – injuries, contract situations – but it’s nonetheless a hint at Tatum’s worth to the Celtics. Lickliter was the head coach of Butler University while Brad Stevens was an assistant. Lickliter said he used to run practices where his assistants could coach different squads in scrimmages. Lickliter called it a joy to watch Stevens work with players and coach through scenarios, showing off his natural chops for the job. Stevens later became the head coach at Butler until the Celtics lured him away for a reported $US22 million over six years. If acquiring star players is the biggest challenge in the NBA, getting a coach that can truly elevate a team might be the second biggest. It’s clear the Celtics have that in Stevens. Those around the Celtics credit Stevens’ preparation and attention to detail. Nothing goes overlooked. “He goes over all the small details, which add up to big details at the end of the day,” said Walter McCarty, a former Celtics assistant coach who’s now the head coach at Evansville University. Stevens devours film, studying player tendencies and opponents’ habits. “He pores over every single detail,” McCarty said. Stevens has become legendary for his after-timeout play calls. A few of them helped the Celtics win games in the postseason. McCarty has seen Stevens’ basketball genius up close, telling Business Insider that when Stevens draws up a play in a timeout, he can tell whether it will work as soon as the opponent’s defence lines up. “We got ’em,” Stevens will say, triumphantly, forecasting how the play will go. Stevens’ work ethic and attention to detail permeate the organisation. Gotham, McCarty, and Lickliter all said that if there’s a common trait in the current Celtics’ core outside of their obvious talent, it’s their work ethic and desire to get better. Everyone is focused and driven in the organisation. Ainge’s presence is critical to the culture too. Ainge is known as one of the savviest and most ruthless GMs, willing to make any deal to improve the team. But those who know Ainge describe him as kind and humorous, with genuine care for his players. McCarty, who also played under Ainge with the Celtics, said Ainge is known for making well-timed jokes to break up heated or intense practices. Harry How/GettyThe Celtics were nearly good enough to get to the NBA Finals this year, and they still have room to improve. Add it all together, and the Celtics don’t appear to have a weakness on the roster. They will have the length and athleticism to switch across several positions next year, making an already stingy defence even stronger. They will have multiple players capable of spreading the floor, making plays for others, or creating their own shot. Tatum and Brown are poised to get better. Again, they will be welcoming back two All-Stars next season. There’s an obvious danger in getting complacent, and the Celtics won’t merely rely on the team making a leap. There are decisions to be made and some unknowns. Smart is a restricted free agent this summer. One agent noted that Rozier’s trade value might never be higher, and the Celtics might run into an issue with having too much depth. There are already questions about Irving’s future as he hits free agency in 2019. He has said it doesn’t make sense for him to sign an extension. Horford, the glue of the team, can become a free agent in 2019. Hayward might not be the same player post-injury. Ainge will always be on the hunt for upgrades, and he’s positioned the team to make a go at another star. The Celtics could have as many as four first-round picks next year, depending on how the draft order shakes out. The agent said other players were intrigued with what the Celtics have built. But the Celtics are also in the enviable position of opting not to make any drastic moves and seeing what they have with a fully healthy squad. The Celtics have made back-to-back Eastern Conference Finals, and it appears their journey is just beginning. They aren’t satisfied with the progress just yet.